To get the new tag based clipart search working you will need to install both the new Worksheet Crafter and the new Premium Content. We will send you the update instructions via mail. If you are using an annual license of Worksheet Crafter then you will additionally be notified within the application. With the word problem exercises the latest Worksheet Crafter supports a powerful new exercise template. The word problem exercises come in various text variations. Both the arithmetic operations and the number space are configurable with the exercise generator. The solutions can optionally be printed onto an answer sheet. Modifications to the text can easily be applied in manual mode by deactivating the exercise generator. 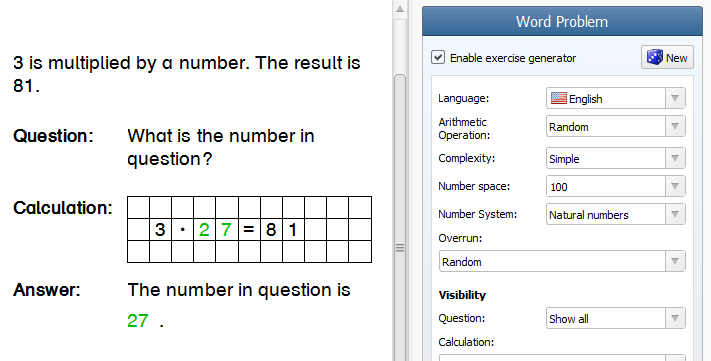 The visibility of the various exercise sections (question, calculation, answer) is configurable so that different predefined content can be provided to the pupils. As a special feature the word problem item is the first exercise in Worksheet Crafter which supports real numbers. Searching for clip arts is now easier than ever before. 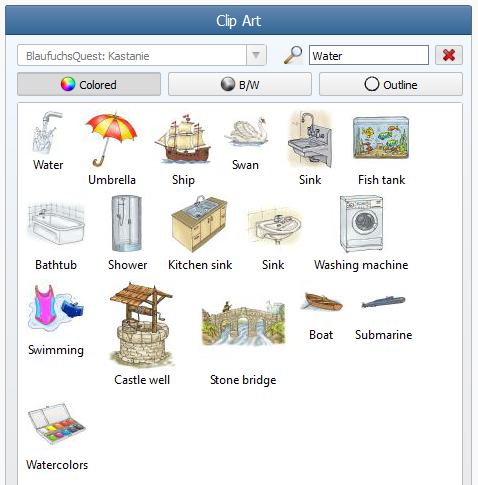 We have spent a significant amount of time on providing tags to all clip arts inside Worksheet Crafter. When searching for clip arts these tags now get considered as well. Important: The tag based search only works after you have installed the new Premium Content 2016.2. Updating just the Worksheet Crafter application is not sufficient. The list of categories now provides a hierarchical structure so that the sections don’t have to be visualized with cryptic prefixed anymore. When searching for clip arts the application will now automatically provide suggestions for search terms. To achieve a beautiful and well structured layout it is helpful if the various items on the worksheet are properly aligned to each other. Exactly for this purpose Worksheet Crafter now provides helpful alignment tools in the upper toolbar. This way you can align or center items with a single click. Additionally items can now also be evenly distributed on the page with a single click. Worksheets can now optionally be configured as “double sided” so that it is easier to print them on both sides of a paper. 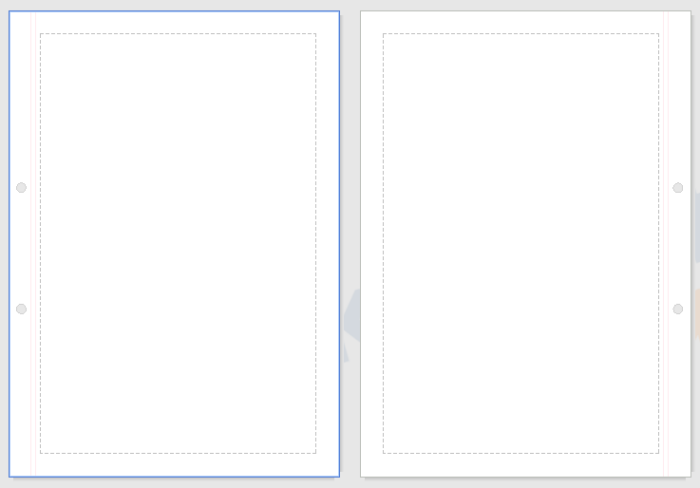 For double sided worksheets the left and right borders gets swapped on even page numbers, i.e. on the back page. When working in landscape format this applies to the upper and lower border. The toolbar at the top now gets automatically spread across two rows in case it doesn’t fit into one row, e.g. due to a small display resolution. When undoing changes to the text item and handwriting lines the application now also restores the original size of the item.